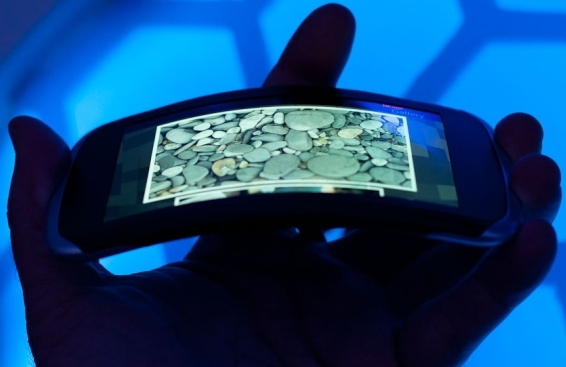 Yesterday we posted that Samsung will be launching handsets with flexible display next year. Well, now we have Nokia showcasing the same concept with a whole new concept onboard. The Nokia Kinetic Concept is something new altogether by bringing in bending gestures that you can use to control your handset. You can just bend-in, bend-out, twist and turn your bendable handset to control it. It is a very innovative way to control your device, suppose the weather is frigid and you are wearing gloves and you need to make a phone call, now a touchscreen and gloves don’t go well together, but this concept might ease the use even if you are wearing boxing gloves. Now of course touchscreens are here to stay, but this concept on top of the touchscreen concept can be one the biggest innovations in the mobile world. Now it’s hard to describe in word so why don’t you check out the video and tell us what you think about this whole new concept.